About a month from now, you'll start to see Bud and Burgers everywhere, we've been working hard to put together some really cool stuff that hopefully all of you will enjoy. Nothing goes better together than a Budweiser and a Burger and I thought I'd give you guys a sneak preview of the type of stuff you'll be seeing by making one of my own. 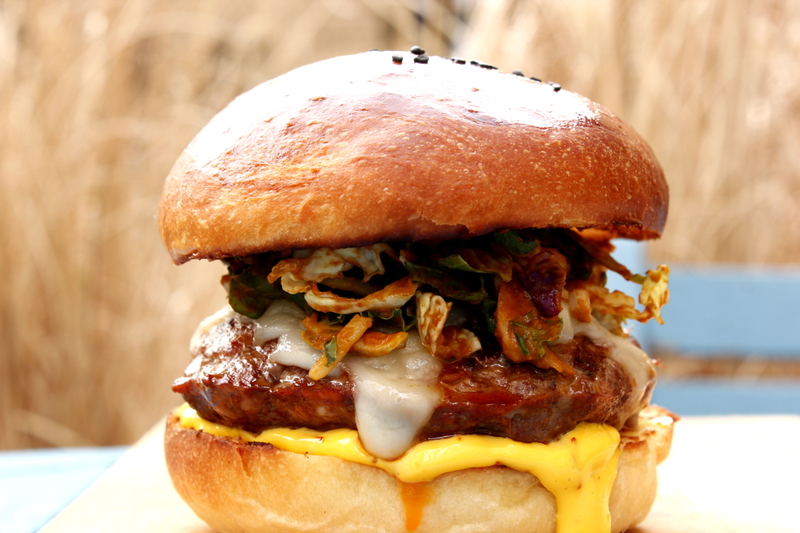 This one is a stepped up reincarnation of a burger that my buddy Owen came up with back on the old Rotio.Food blog. 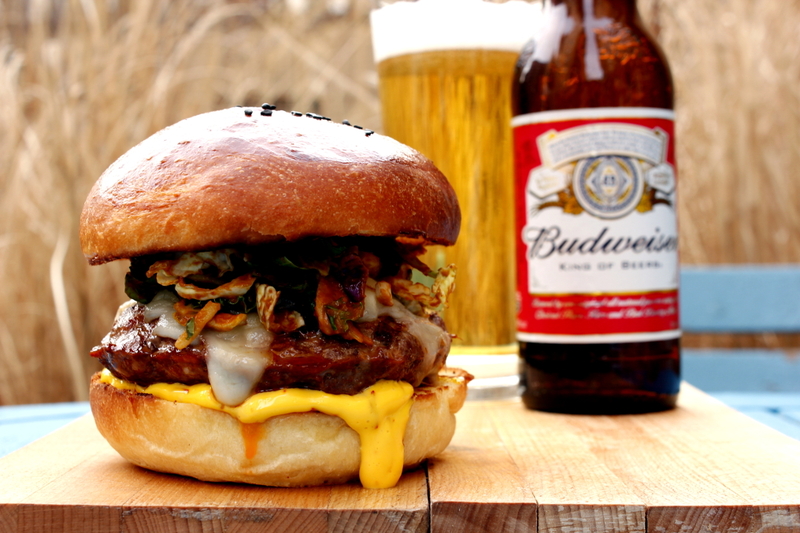 This patty is 50/50 ground beef and homemade chorizo, topped with a chipotle fire slaw, iberico, jack cheese, all on top of a Budweiser sourdough brioche bun slathered with saffron mayo. 1. Combine first 12 ingredients, form into 6oz patties, wrap and refrigerate for at least an hour. 2. Bloom saffron in a tablespoon of water or Budweiser, mix with mayo, cover and refrigerate. 3. Place jalapenos, onion, tomatoes, Budweiser, and chipotles in a saucepan. Cover and simmer on medium until veggies are soft. Transfer to blender, add cilantro and yogurt and blend until smooth. Toss with shredded cabbage. Refrigerate until ready to serve. 4. Preheat grill to high. 5. Grill burger patties for 4 minutes on each side. Add cheese and toast buns, if desired. 6. Smear buns with saffron mayo, top with burger and slaw. Serve immediately. Devour.